New tidbits from Weekly Jump. 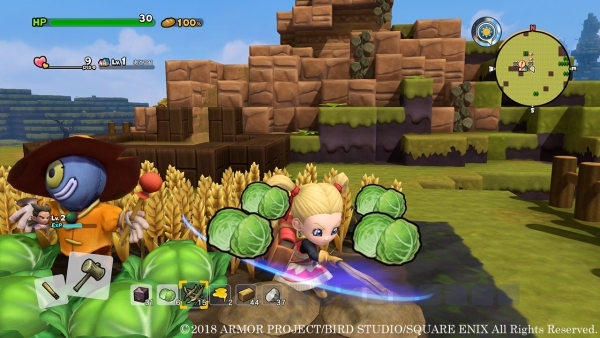 The latest issue of Weekly Jump has new information on Dragon Quest Builders 2. There are islands called “Material Islands” where you can obtain plenty of materials for building. By satisfying certain conditions, you will be able to create unlimited amounts of frequently used materials on the workbench, like string. Material Islands is also where the creations of the “Builders 100 Landscapes” contest winners can be found. “Mysterious Floors” – A mechanism that moves in response to magnetic floors. “Trampoline” – Jump on it to perform a big jump useful for moving to high places. “Launch Tube” – Can be used to launch fireworks. “Display Sign” – Can be filled in with a message.